ZIDA products have always been popular because of a cheap price, but quality is not the great. 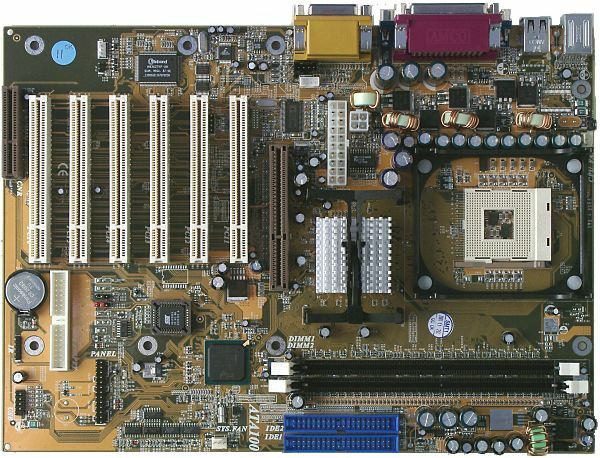 The layout is not very convenient: an FDD connector is behind PCI slots (that is why it might be difficult to handle it and cards in these slots), the CD-in is between the PCI slots, and a Wake-on-LAN is in front of them. It's not difficult to reach switches and jumpers, but their functions are not shown on the textolite. The 3-channel switching voltage regulator incorporates 11 capacitors of 1100 uF and 3 of 3300 uF. The following controllers are integrated: an audio one based on the chipset's capabilities and Crystal 4299-XQ codec. Non-unsoldered connectors: an RJ45 connector and a chip which realizes network capabilities of the chipset. The system monitoring is supported by the Winbond W83627HF-AW chip. Processor and battery voltage (+/-3.3, +/-5 and +/-12 V), speed of 2 fans and temperatures of the processor (a built-in sensor) and the board (a built-in sensor) can be controlled. There are 2 connectors for adjustable connection of fans. 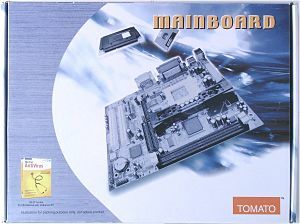 Brief characteristics of the board: memory slots - 2 DDR SDRAM; expansion slots - AGP/ 6 PCI/ CNR; I/O ports - 2 COM/ LPT/ 2 PS/2/ 4 USB 1.1; dimensions - 305x220 mm. We used the latest available version of the BIOS - 1.01. Not a high speed of the board's operation is compensated by a low price. 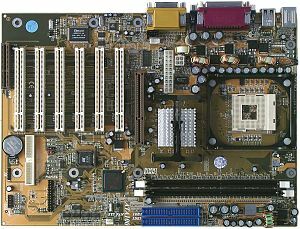 The board is a good choice for low-budget systems.